It’s Thursday morning in Konna, and crowds have descended from all over the region to join one of the largest open-air port markets, right in the center of Mali. We are in the region of Mopti. Shoppers navigate through the noisy improvised street filled with goods and merchants, their flip flops slap the dusty ground, as they move between the stalls offering fish, cattle, cereals, dried onions, yams, dates, meat, tea, wood, fruits and vegetables. “Business is good nowadays, we are coming here to sell every Thursday. With no fear any more. I am happy to see the peacekeepers and our Malian Security Forces here. It reassures me, and I feel protected from the road cutters”, says Djeneba Kassogue, a seller of fruits and cold drinks from Mopti. She remembers how she braved the 65 kilometers road leading to Konna three years ago, in permanent fear to be robbed. Since the market is now secured and fully functioning, this seller of fruits and cold drinks is now able to support her family of three children. The market of Konna re-opened in late 2013 following violence that forced civilians to flee, devastating the local economy. 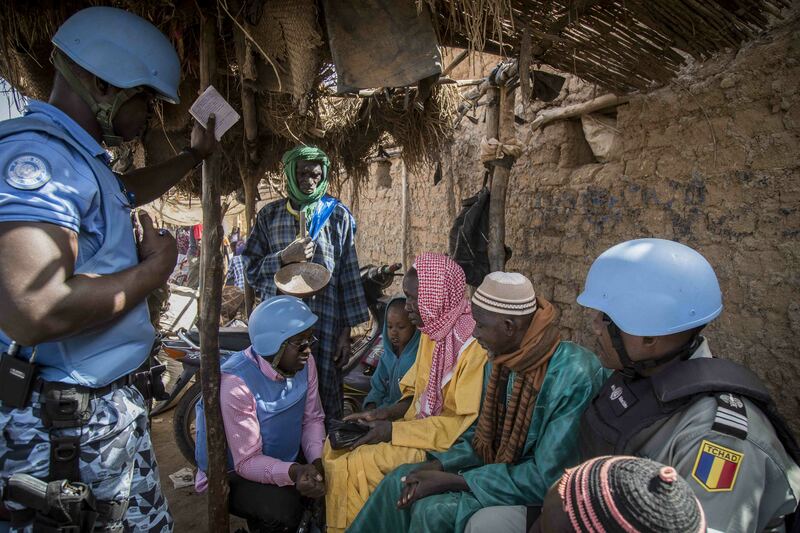 Since then, regular joint foot patrols and market walks are provided by United Nations Police (UNPOL) and Malian Security Forces. This helps build confidence among local community and contribute to durable peace in the area that is better known as the new epicenter of Mali’s six-year conflict. Wearing their uniforms, distinctive from the crowd, the 12 officers from the Togolese Formed Police Unit (FPU) step into the busy market. Situated at a strategic location, the market brings dynamism to the commercial activities of the Mopti Cercle. It also brings together itinerant traders and local people from neighboring villages near the Niger river. “Patrols are conducted to reassure the population, to help them overcome the feeling of insecurity. At the beginning of the crisis, people did not dare to go out because they feared armed groups and of attacks”, Beman Sanogo said. The unprecedented scale of violence that started in 2012 led to widespread displacement and recurrence of human rights violations against civilians living in this area. 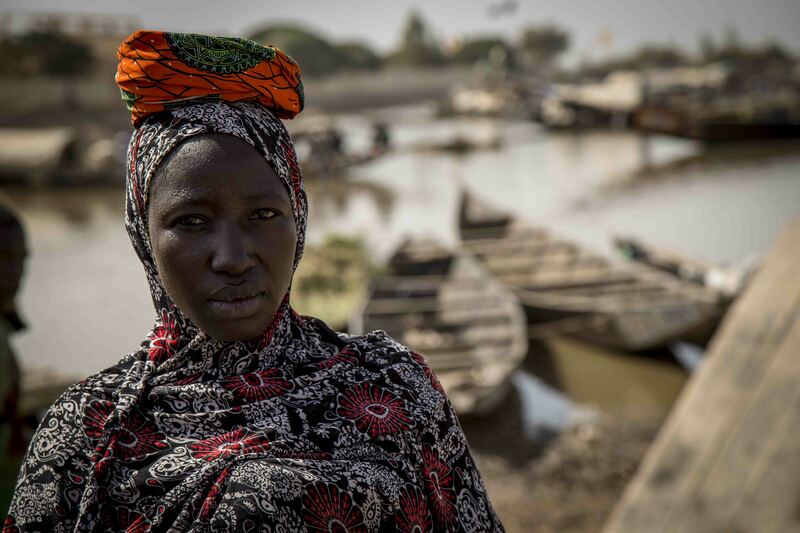 Once peaceful, known as the Venice of Mali for its abundant access to water. The violence started when separatist Tuareg rebels seized large parts of the north of Mali, following a military coup in the capital, Bamako, forcing thousands to flee. The upsurge of inter-community conflicts between the Fulani herders and the Dogon and Bambara farmers, and intra-community conflicts among the Fulani, combined with the attacks by violent extremist groups all contributed to deepen the instability. More than 1,500 violent incidents caused the death of 1,323 civilians and injured 611 just in Central Mali since January 2017. But on this Thursday, the market appeared calm and peaceful, with merchants happy to see the joint patrol on the ground “It's very good, it allows us to work freely”, said Abbas Diallo, standing outside a small grocery store, “I think it's reassuring for the population. I want it to last”, he added. 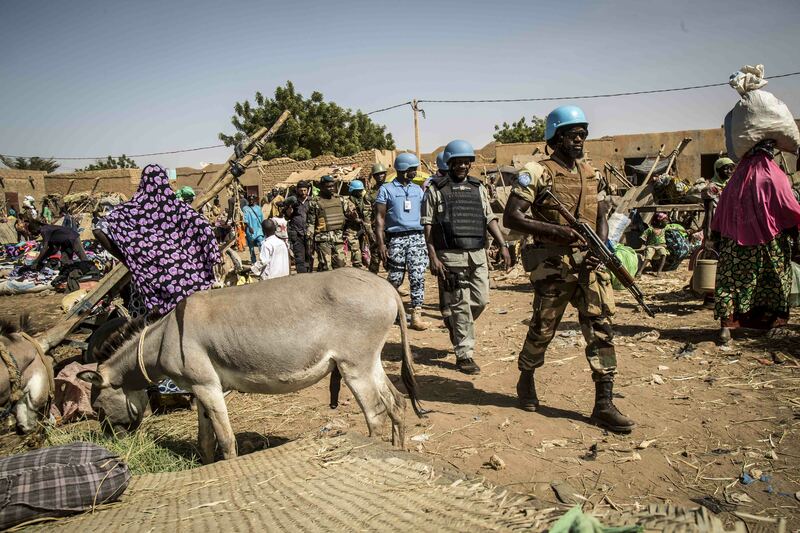 The gradual improvement in security since the arrival of the peacekeepers has seen the local economy slowly begin to pick up in the remote town of 36,000 people in the center of Mali. MINUSMA’s measures to help reduce casualties countrywide seem to be fruitful, “By increasing training, by increasing patrols with an average of 50 per day, by taking advantage of the joint patrols every single day 24/7 in all weather conditions, we have made significant progress towards diminishing casualties”, said Issoufou Yacouba, the United Nations Police Commissioner in Mali. Not too long ago, tourists from around the world were visiting this part of Mali, sailing north, up the River Niger to the fabled city of Mopti. Today the area is known as the new heart of Mali’s conflict. 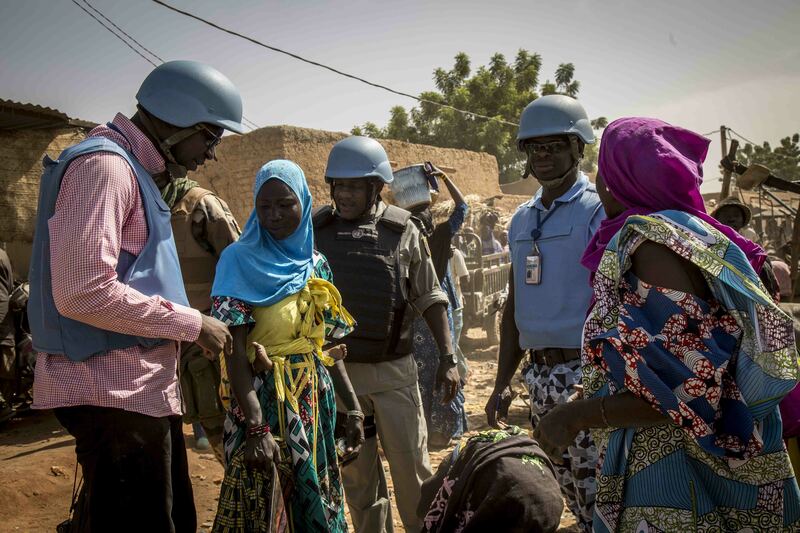 Nevertheless, despite of extremely difficult operating conditions and logistic challenges, the UN police remains committed to help protect civilians and build durable peace to this land-locked north-west African nation.